Dalny City Hall, built in 1900. Past Peking, we leave China proper and enter the realms of Imperial Japan. In this new year, our Grand Tour will take us first to 2 former Japanese colonial treaty ports (exploring how Japan itself became an imperial and colonial power) and then to 3 Western Treaty ports in Japan itself (in an era when Japan itself was subject to Western Imperialism) and finally to the Imperial City of Tokyo, in the midst of modernisation during the Meiji Restoration. Our first stop in Imperial Japan’s territories is the city of Dairen, otherwise known as Dalian today, in the northeast of China, in what was formerly Manchuria. 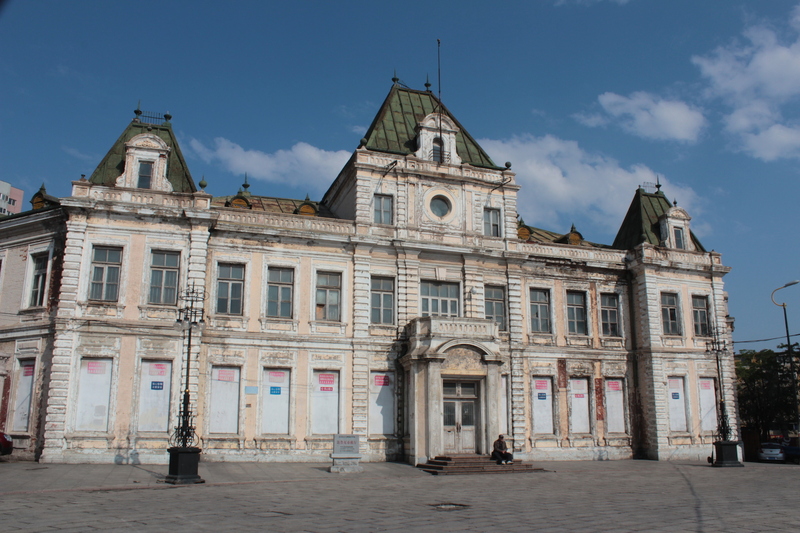 The city was founded, in 1898, as the Russian Treaty Port of Dalny Дальний, meaning “Remote”. The city was the capital of the Kwantung Leased Territory 關東州, which the Russians had leased from the Chinese, and which also included the nearby city of Port Arthur (known as Lüshun 旅順 today). For the next 7 years, the Russians would impose their own unique stamp upon the city – building a magnificent City Hall (see above), Library (see below) and the city’s most famous landmark, Nicholas Square (Николаевская площадь). The Dalny Library, built in 1900. Before it is a bridge built by the Japanese in the Meiji Imperial style. It recalls the Nihonbashi in Tokyo. 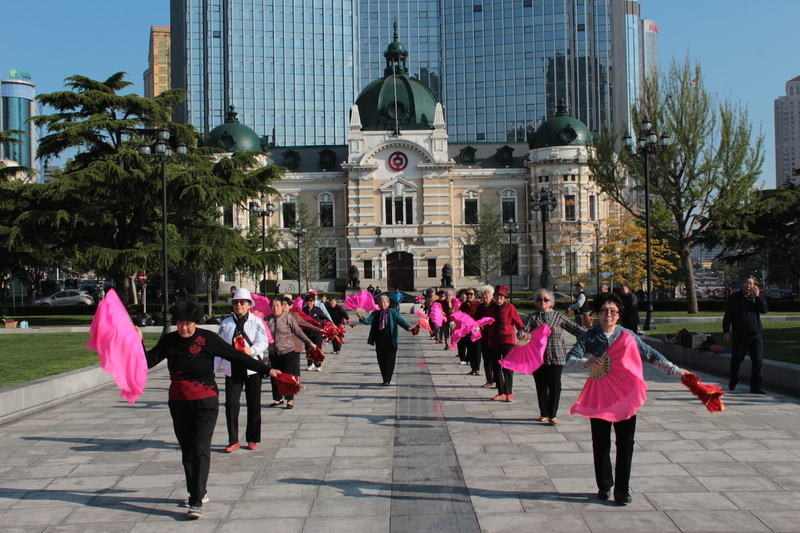 Chinese seniors dancing in what was Nicholas Square. 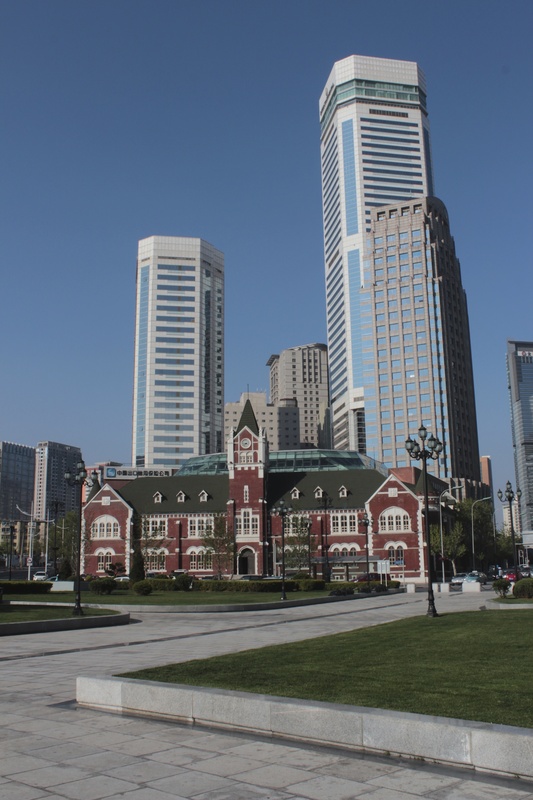 the building was built in 1909 during the Japanese era and housed the Dalian branch of the Yokohama Specie Bank. 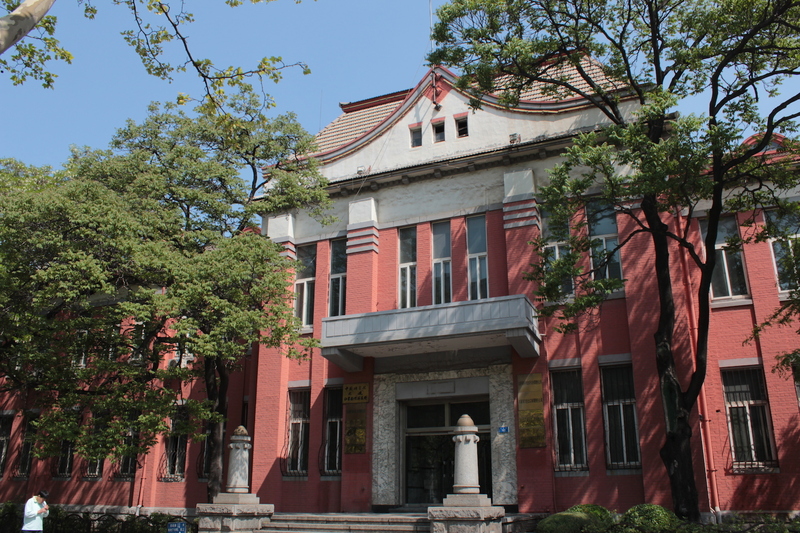 Another view of Nicholas Square with the former Dalian Police Station, built by the Japanese in 1908. And then very suddenly, it was all over for Imperial Russia, as, in the aftermath of the Russo-Japanese War in 1905, which the Russians lost, Dalny and the entire Kwantung Leased Territory were handed over to the Japanese. they would rule it till 1945 in the aftermath of World War II. The Japanese used the name Dalny, but transliterated it to Dairen 大連 – meaning “Great Connection”; a name that continues to be used today (the Chinese pronounced the same characters “da lian”). Over the next forty years, they would transform the city into a facsimile of other cities on the home turf – there would be Meiji-style Imperial architecture fusing Western and Japanese influences, Japanese-style shopfronts and markets, and even Shinto shrines. The city’s heart remained Nicholas Square, which the Japanese renamed as Oohiroba 大広場 － meaning “Grand Plaza.” Around the square – more of a circle, really – they would build 12 of the most imposing pieces of Japanese Imperial architecture, west of Tokyo. These housed the headquarters of Japanese banks and merchant houses, as well as other European Foreign consulates. 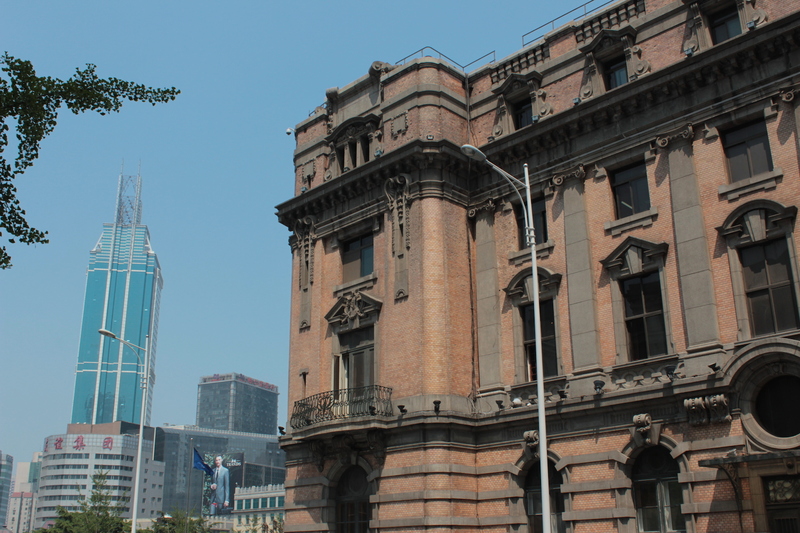 Almost all of these buildings still stand today, and make today’s Zhongshan Square one of the most awe-inspiring sights (and relics of colonialism) in the world, after Shanghai’s Bund. Japanese-built edifices on Nicholas Square. Side view of the famous Yamato Hotel, Dalian’s Grand Hotel, on Nicholas Square. Today, the Japanese influence on Dalian is still very strong. 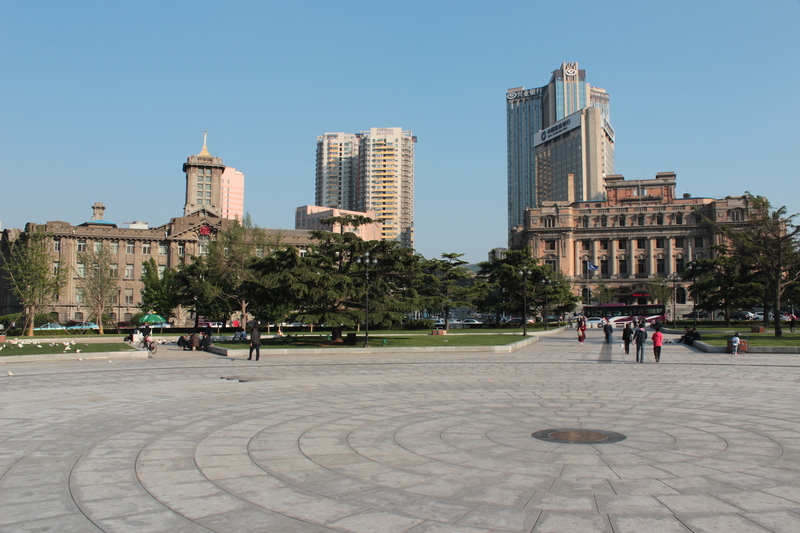 Almost all of the major buildings the Japanese erected still remain, many of which have been taken over by the local municipal Government – particularly around People’s Square. 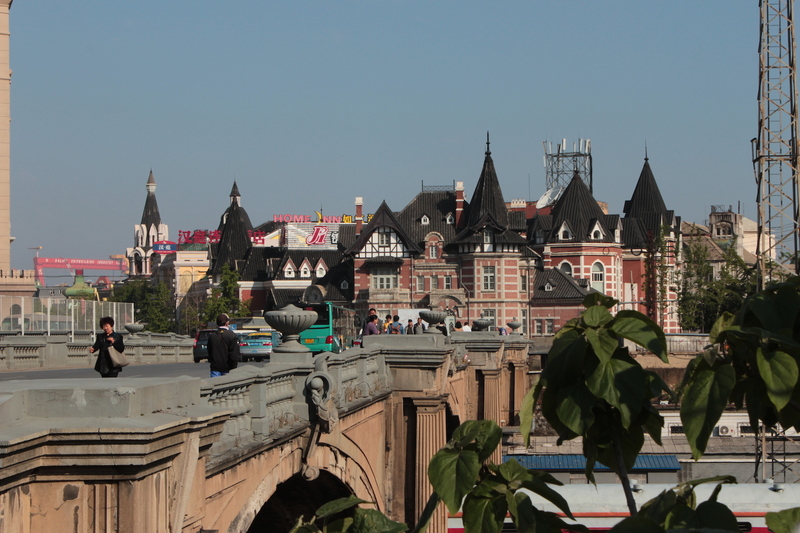 Around Zhongshan Square – the old city centre – the landscape still retains its Japanese flavour, with numerous Japanese-style buildings and shops. Further towards People’s Square, former Shinto Temples and Shrines still stand, converted today into theatres for traditional Peking opera. Municipal offices in the vicinity of People’s Square. 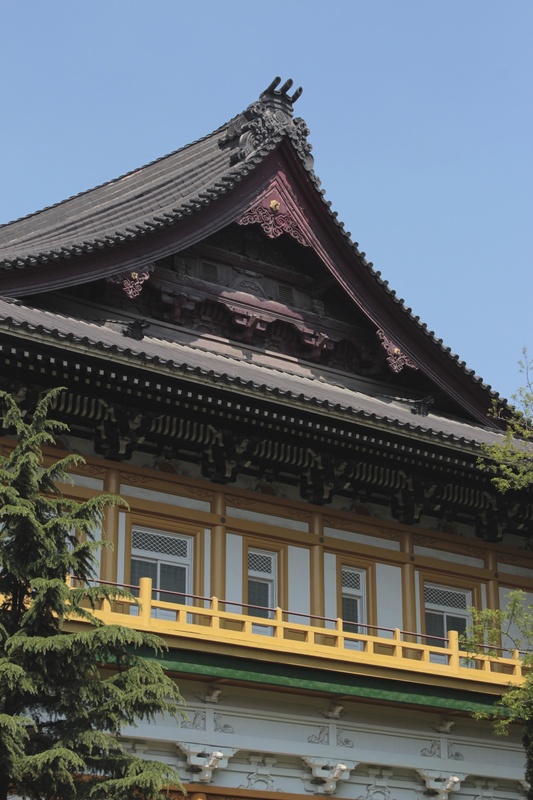 This is built in an Imperial Meiji architectural style, fusing Western and Japanese elements. A Shinto Shrine, housing a small theatre today. 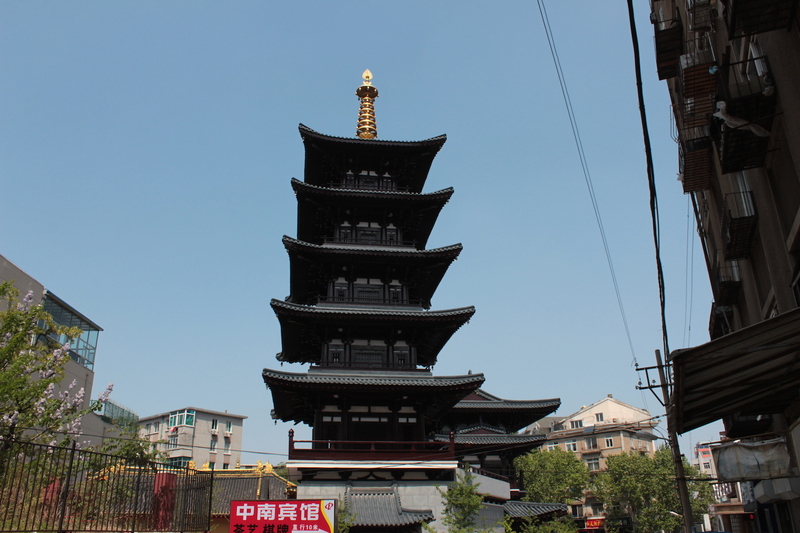 The city’s main Shinto Temple, housing the Dalian Peking Opera Troupe today. 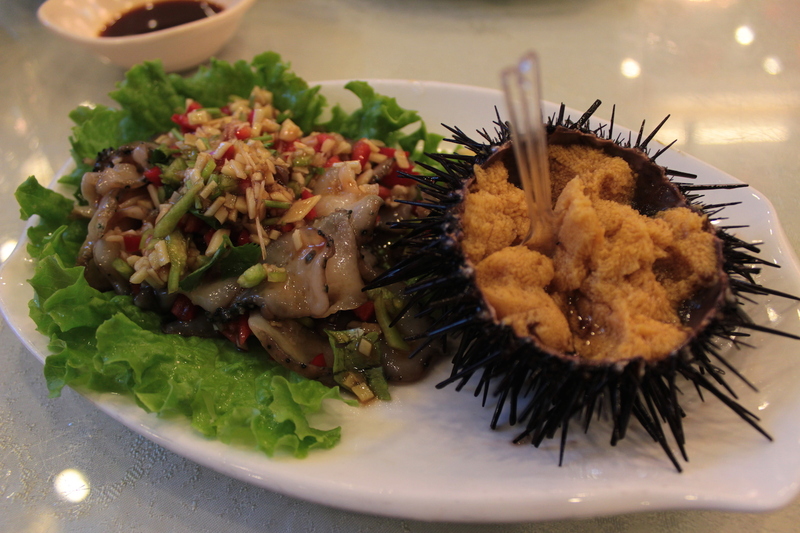 And then there is the food, which is very seafood-based, because of the proximity to the sea. Here’s where I had some of the best and the freshest uni and nameko (sea cucumber) sashimi outside of Tokyo, alongside other more traditional regional dishes. 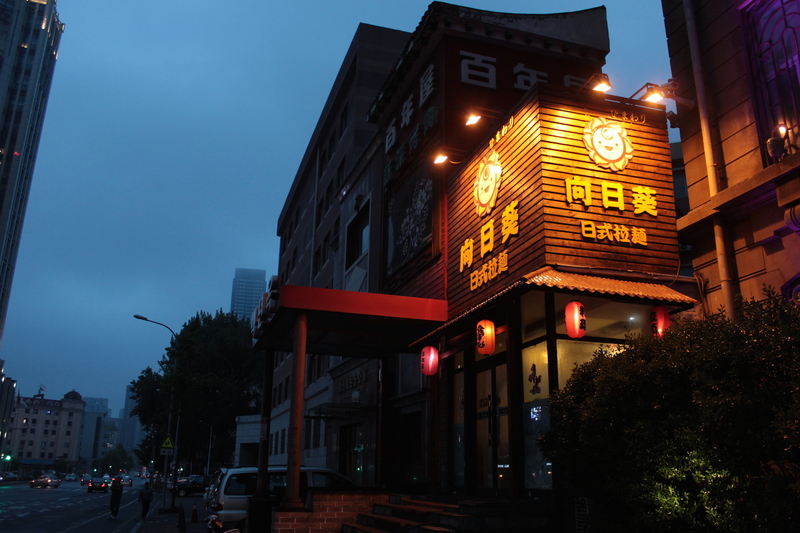 The food and the surprisingly still very palpable Japanese-ness of the city’s urban layout, made the experience in Dalian a highly pleasant one. 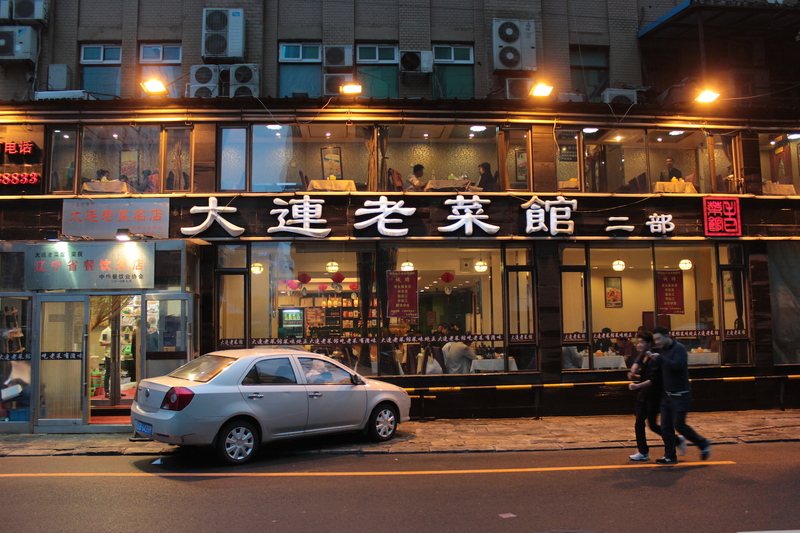 Old Dalian Restaurant 大連老菜館, serving traditional Dalian dishes, particularly seafood. Here’s where I had the best uni and nameko outside of Japan! 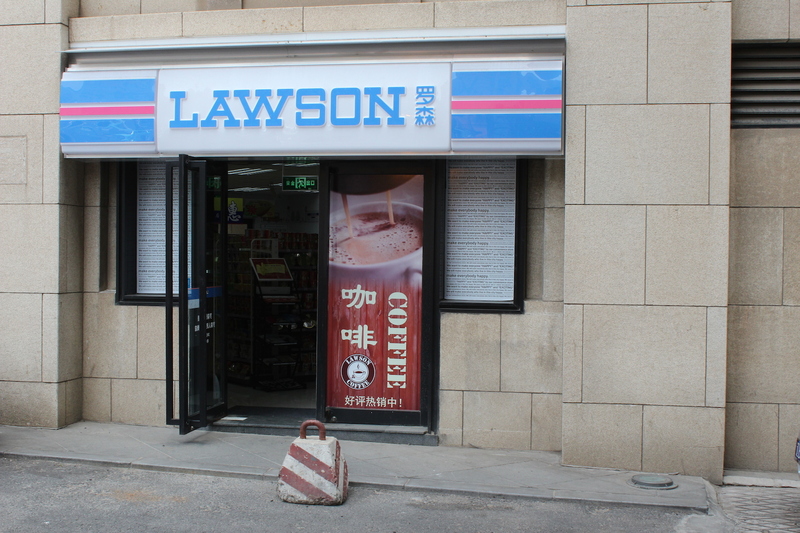 As if we need any other reminder of Japan’s influence on the city – Lawson, a Japanese convenience store chain. View of Japanese style restaurant in the evening. Gallery | This entry was posted in Art & Architecture, China, Cities & Regions, Culture & Lifestyle, Landmarks & History, Photography, Travel & Mobility and tagged China, Dairen, Dalian, Dalny, The Grand Tour, The Grand Tour of the Far East, Treaty Ports. Bookmark the permalink.